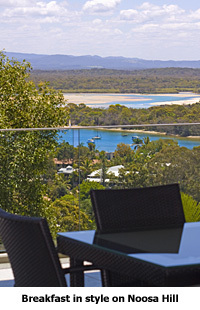 With breathtaking views over Laguna Bay and the Noosa River, book your next holiday at Noosa Hill and experience sunsets over the bay, beach and forest that are truly unforgettable. 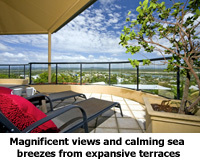 Just a short stroll away is Noosa Junction with its wealth of entertainment choices. Choose from a multitude of restaurants, cafes, boutiques, a local cinema and more, you’re sure to find something that tickles your fancy. 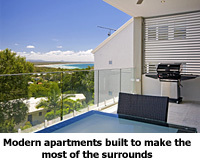 Experience the beauty and relish the atmosphere as you make your way to Hastings Street and Noosa's popular Main Beach. Beautiful by day, magnificent by night; when the twinkling lights appear, Noosa Hill is a hidden gem – one of the most popular areas of town. And if that’s not enough – Noosa Hill adjoins the beautiful Noosa National Park with its vibrant offering of native wildlife. Enjoy the holiday experience of a lifetime!